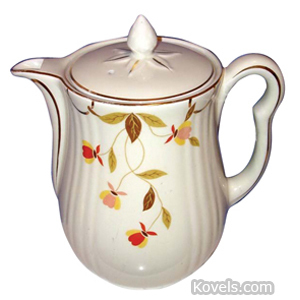 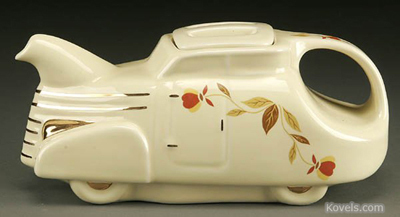 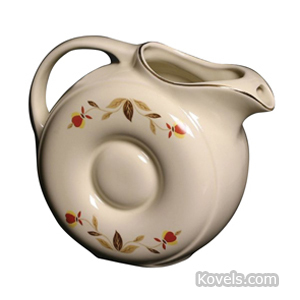 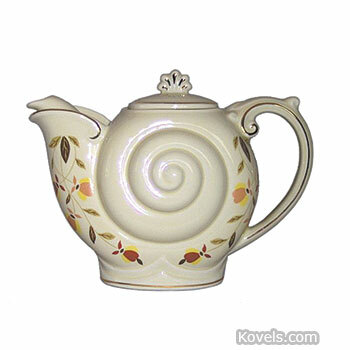 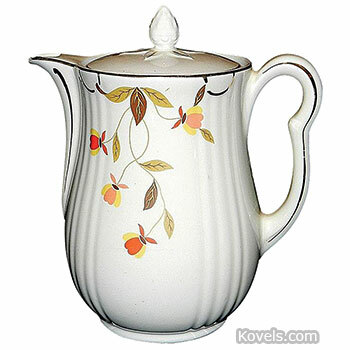 Autumn Leaf pattern china was made for the Jewel Tea Company beginning in 1933. 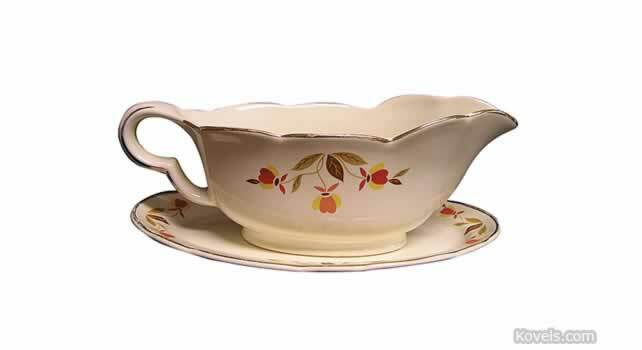 Hall China Company of East Liverpool, Ohio, Crooksville China Company of Crooksville, Ohio, Harker Potteries of Chester, West Virginia, and Paden City Pottery, Paden City, West Virginia, made dishes with this design. 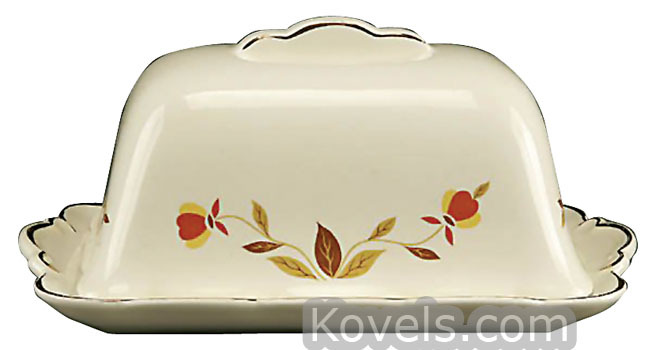 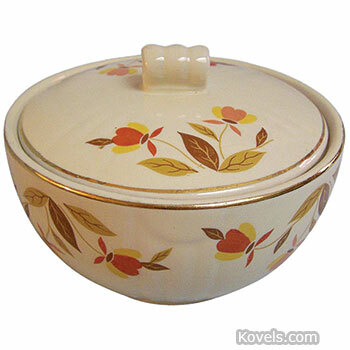 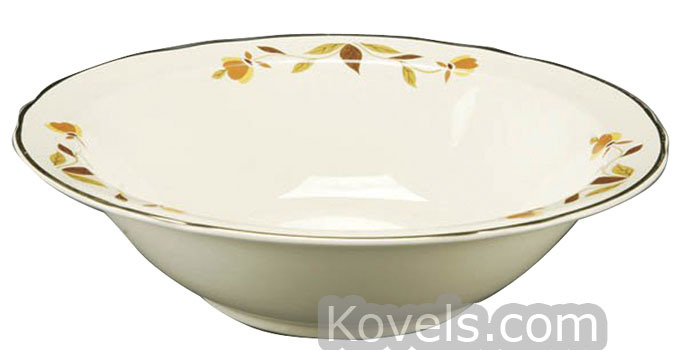 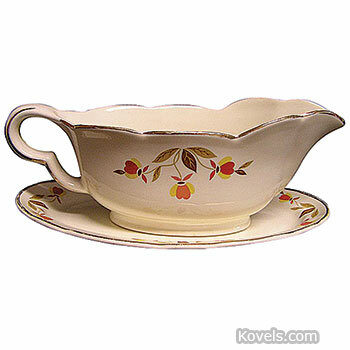 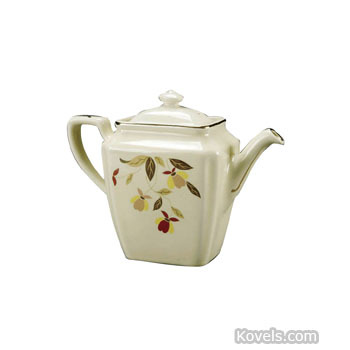 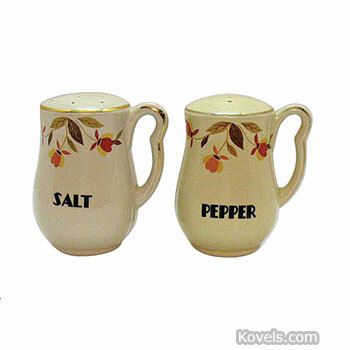 Autumn Leaf has remained popular and was made by Hall China Company until 1978. 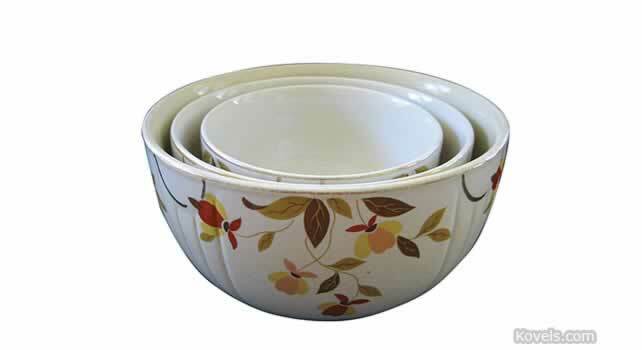 Hall China Company's most famous dinnerware line is still its "Autumn Leaf" line. 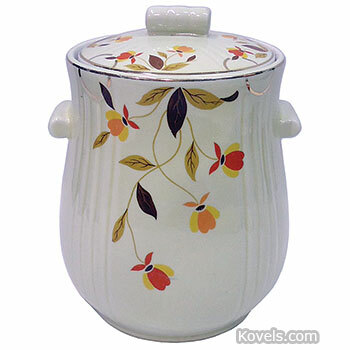 Some new shapes in the Autumn Leaf pattern are still being made. 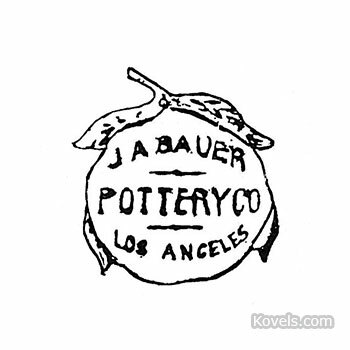 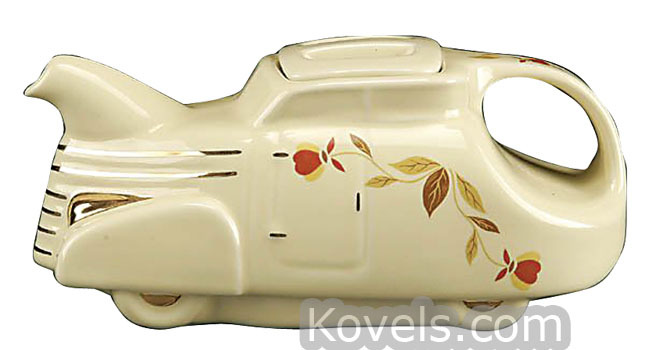 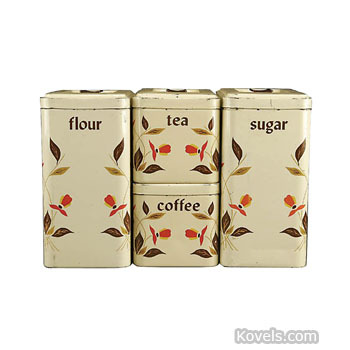 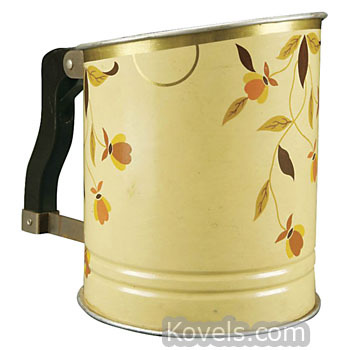 For more information, go to Kovels.com.